Our good friend Daisy turned 6 today. 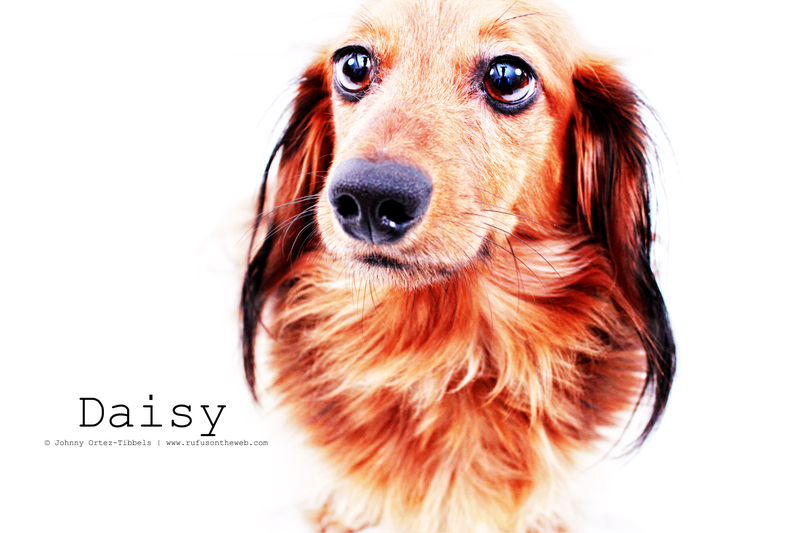 We have known Daisy since she was a little puppy and adore the delightful longhair low-rider. Happy Birthday Daisy, and may there be many more happy returns. 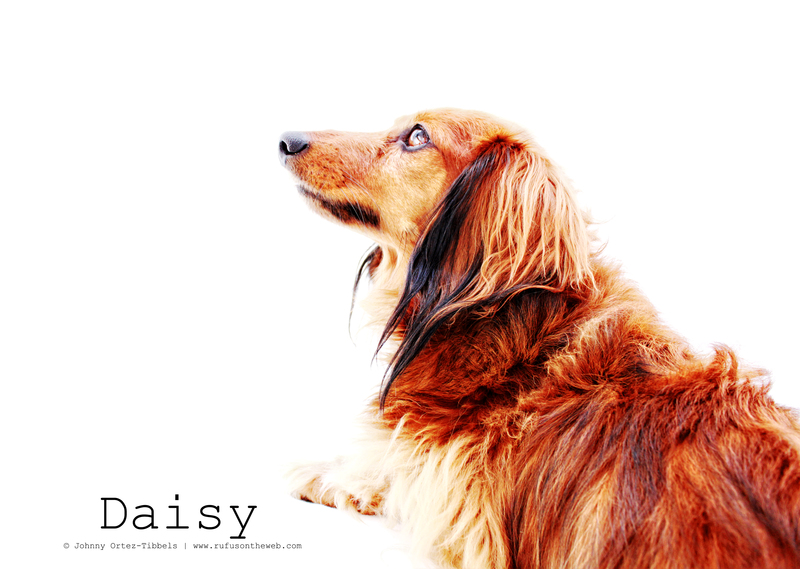 Daisy and her brother Sammy are both featured in our book 102 Dachshunds. If you’re a fan of longhair dachshunds, don’t miss your opportunity to get a collectible tee featuring one of two longhairs: Colin and Preston. Only 13 shirts left of the longhairs, and once they’re gone, that’s it. Remember the shirts have been recently discounted in celebration of our 800th post: 1 for $35, 2 for $50 and 3 for $60. We will not be producing these same shirts again. Support the charity that champions the breed you love, and get your shirt just in time for Spring. 3 Responses to Happy 6th Birthday Daisy! she is just gorgeous!! and you are a wonderful photographer!! Happy 6th Birthday Daisy and hope you have many more!! You are gorgeous!! Hugs and kisses! !